When will be The Machine next episode air date? Is The Machine renewed or cancelled? Where to countdown The Machine air dates? Is The Machine worth watching? The Machine follows the story of a brilliant computer programmer who is desperate to save his terminally ill daughter and creates the first-ever piece of self-aware artificial intelligence. Of course, things go south when the government hijacks the AI originally designed to help injured soldiers and uses it to create the ultimate cyborg killing machine. The Machine will follow several storylines as it "takes a broad view of cutting-edge scientific breakthroughs in genetic engineering, trans-humanism and artificial intelligence". 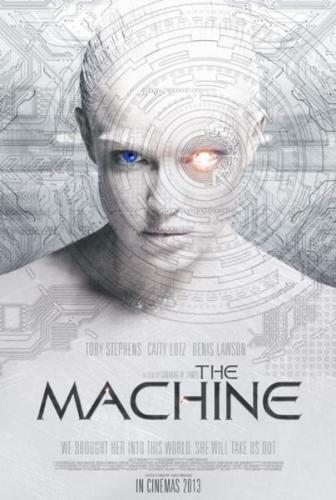 The Machine next episode air date provides TVMaze for you. EpisoDate.com is your TV show guide to Countdown The Machine Episode Air Dates and to stay in touch with The Machine next episode Air Date and your others favorite TV Shows. Add the shows you like to a "Watchlist" and let the site take it from there.